Until 2016, flax weevils (large flightless protected beetles) were known from a single island in Fiordland. Recent surveys by Te Papa and Department of Conservation staff have now found evidence of them on a further 56 Fiordland islands. Here, Te Papa scientist Dr Colin Miskelly reports on the latest findings from remote southern Fiordland. What are flax weevils, and why should I care? Weevils as a whole get a lot of bad press as crop pests or for spoiling stored cereal-based foods (e.g. flour, oatmeal, and muesli). But New Zealand has many weevil species that have fascinating life cycles and conservation stories. Flax weevils (Anagotus fairburni) formerly occurred throughout the length and breadth of the country, but as they are large and flightless, they have been hit hard by rat predation. Populations can still be found on a few mountain tops, plus on offshore islands scattered from the Three Kings Islands (north-west of Cape Reinga) south to Fiordland. 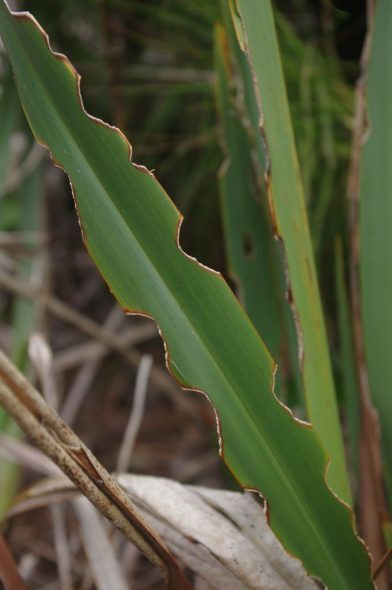 They can be found pretty much anywhere that has flax (harakeke or wharariki) and no rats. 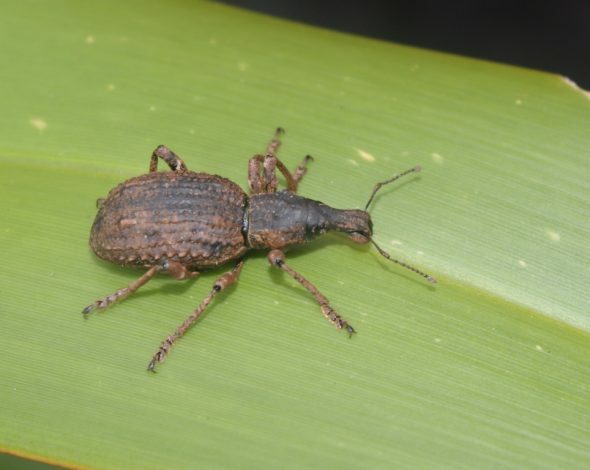 The entire life-cycle of the weevil is dependent on flax (Phormium spp.). 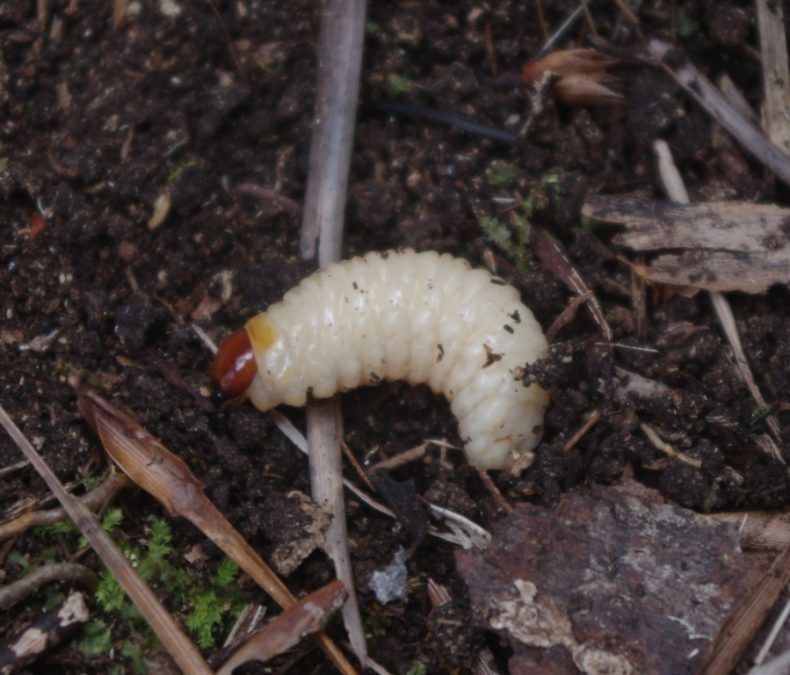 The larvae burrow into the roots, and the adults emerge at night to browse on the leaves, leaving characteristic ragged chew marks on the edges of the leaves. 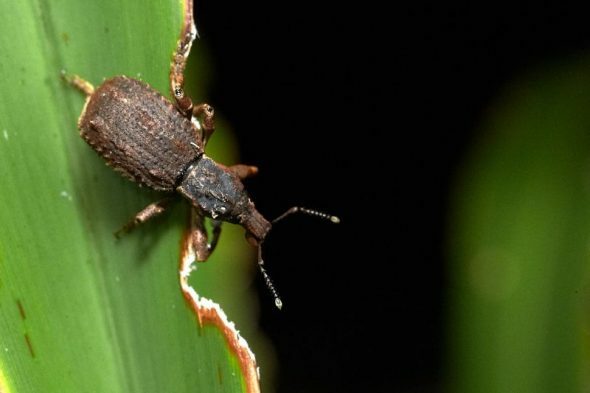 This combination of vulnerability to rodents and restricted distribution led to the flax weevil being one of the first New Zealand insects to be granted legal protection under the Wildlife Act. They have been fully protected since 1980. 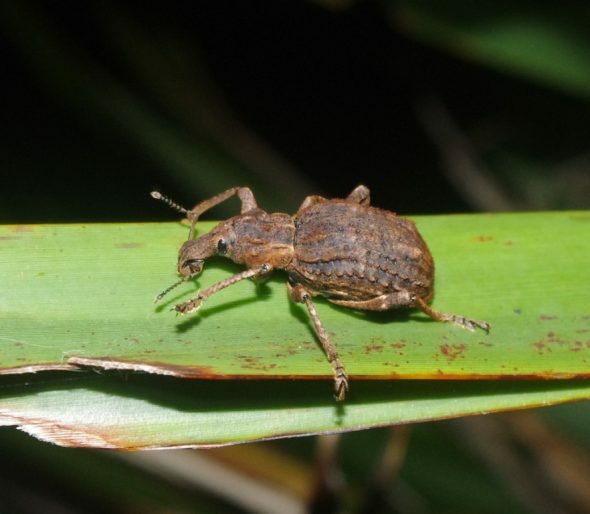 Until recently, flax weevils were known from a single site in Fiordland – Wairaki Island in Breaksea Sound (from where they were translocated to nearby Breaksea Island in 1991). However, a Te Papa survey of 58 islands in Dusky Sound in 2016 found flax weevil feeding sign on 28 islands. Adult flax weevils are difficult to find in daylight, when they hide among dead leaves or in the soil. However, live or dead weevils were found on five of these islands, providing confirmation that their feeding sign had been correctly identified. 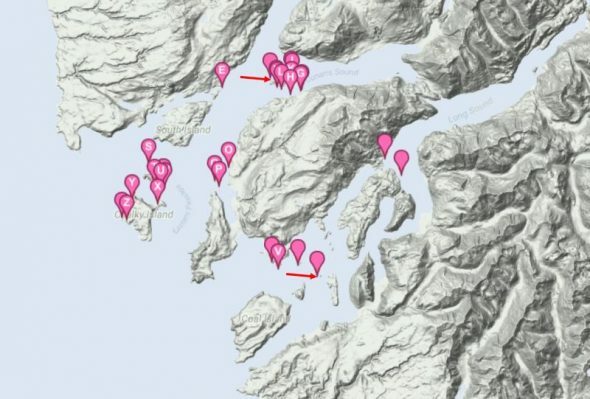 Sites where flax weevil feeding sign was noted in Dusky Sound in November 2016, and on islets off the outer coast of Resolution Island in November 2017. 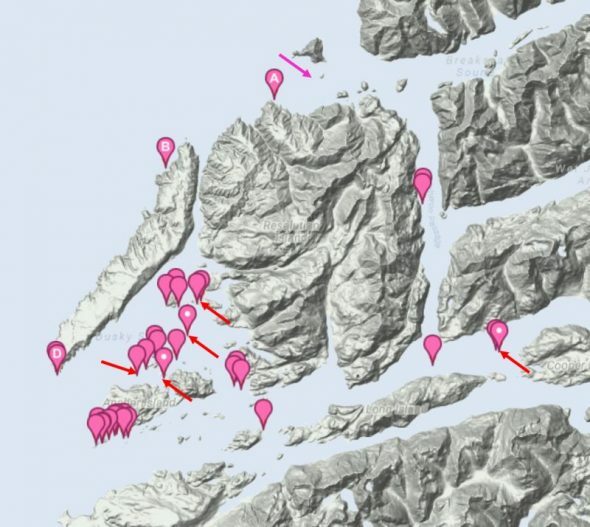 The pink arrow shows the only known Fiordland site before 2016. Red arrows show islands where live or dead flax weevils were found. Map based on NatureWatch sightings contributed by the Te Papa and DOC teams. 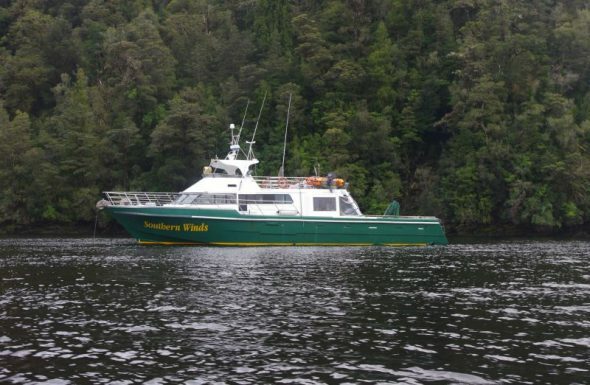 A joint Department of Conservation (DOC) and Te Papa team returned to southern Fiordland in November 2017, to continue the island surveys. As in 2016, we were based on the DOC vessel Southern Winds, and our main focus was surveying for seabird colonies. Team members were briefed on recognising flax weevil feeding sign, and when time allowed we searched for adult weevils and their larvae. Feeding sign was identified on six islands in Preservation Inlet (including Long Sound), on 18 islands in Chalky Inlet, and on four stacks along the outer coast of Resolution Island. Sites where flax weevil feeding sign was noted in Chalky and Preservation Inlets in November 2017. Red arrows show islands where live flax weevils were found. Map based on NatureWatch sightings contributed by the Te Papa and DOC team. Live flax weevils were found on only one island during the day (Round Island, Preservation Inlet). We were determined to confirm their presence in Chalky Inlet also, and so made a night-time landing at a site in the Small Craft Harbour Islands, where abundant feeding sign had been noted in daylight. 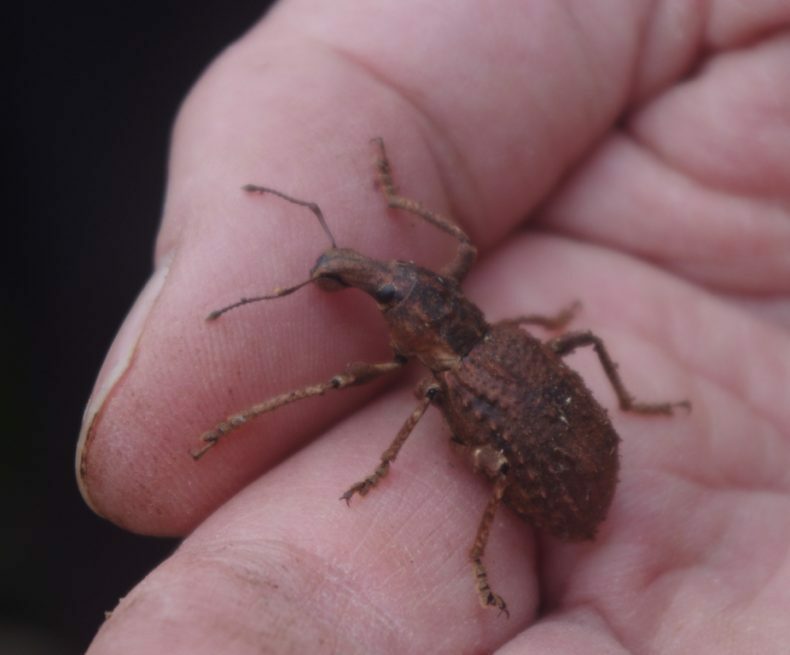 Two adult weevils were soon located, justifying the effort made to return to the site. Our findings will be of value to DOC in identifying priority sites for rat eradication and control in southern Fiordland. With many thanks to Colin Bishop (DOC) for organising the survey, Southern Winds skipper and crew Chris Pascoe and Pete Kirkman for getting us there and back safely and comfortably (and for skilfully getting us on and off so many islands), and Colin Bishop, Graeme Taylor, Terry Greene, Chris Pascoe, and Pete Kirkman (DOC), Alan Tennyson (Te Papa), Riki Parata (Kāi Tahu), and Lawrie Mead for assisting with searching for weevils and their sign. This is superb – without your interest/expertise in this species, we wouldn’t know this information or be able to use it for the benefit of all species on these islands. One day, if rodents can be better controlled, it could be common to see this charismatic weevil on coastal flax on the mainland and hopefully lead to others becoming passionate about our amazing invertebrate fauna. This blog is a great way of sharing your work. Much appreciated! Thanks very much for your comments, and good to see that your weevil antennae are finely tuned for the latest postings! Fascinating! And they’re good-looking insects too. You have all worked really flat out to get so much done on that trip. Thanks. Thanks for your comments Olwen. Yes, the fine, settled weather meant there was not much down time, especially when the night work was added in.